Fuller and three friends went to college student Donald Whittington’s apartment to rob him. Fuller and his accomplices sprayed tear gas, then bound and blindfolded Whittington and searched his apartment valuables. While one of the men removed property from the apartment, Fuller and the two other men then forced Whittington into his vehicle and drove to an automatic teller machine where Fuller withdrew money from his account. The money was distributed between the three captors - eighty dollars apiece. Fuller and his two accomplices then drove Whittington to Sandy Beach, a local park, forced him to his knees, and Fuller shot him three times with a .22 handgun while he was praying. The next day, Fuller took two friends from school to view the body and told them about the robbery and murder. Smith County deputies found Whittington’s body four days after the murder. Once in custody, Fuller gave a videotaped statement, confessing to the details of the offense, but denied being the triggerman. Accomplices Samhermundre Wideman of Tyler and Elaine Hays of Red Springs receiced life sentences. Brent Bates Chandler accepted a 25-year sentence and testified against Fuller. Fuller v. Dretke, 161 Fed.Appx. 413 (5th Cir. 2006) (Habeas). "I would like to tell my family thank you for your support and my friends. Let everyone know that you must stay strong for each other. Take care of yourselves." He then told the warden standing next to him, "That's it." As the lethal drugs began to take effect, he looked at his parents watching through a window a few feet away and said, "I love you." He did not acknowledge the victim's family. AUSTIN – Texas Attorney General Greg Abbott offers the following information about Justin Fuller, who is scheduled to be executed after 6 p.m. Thursday, August 24, 2006, for the 1997 kidnaping, robbery and murder of a Tyler man. On April 20, 1997, Justin Fuller and three friends went to college student Donald Whittington’s apartment to rob him. Fuller and his accomplices tied Whittington up and searched his apartment for items of value. While one of the men removed property from Whittington’s apartment, Fuller and the two other men then forced the 21-year-old Whittington into his vehicle and drove to an automatic teller machine where Fuller withdrew money from Whittington’s account. The money was distributed between the three captors - eighty dollars apiece. Fuller and his two accomplices then drove Whittington to Sandy Beach, a local park, forced him to his knees, and Fuller shot him while he was praying. The next day, Fuller took two friends from school to view the body and told them about the robbery and murder. Smith County deputies found Whittington’s body four days after the murder. A criminal investigation led to Fuller’s arrest. Once in custody, Fuller gave a videotaped statement, confessing to the details of the offense. Fuller was eighteen years old on the day he killed Whittington. March 1998 -- Fuller was convicted of capital murder and sentenced to death in Smith County. December 2000 -- Fuller’s conviction and sentence were upheld on direct appeal. May 2001 -- The Texas Court of Criminal Appeals denied Fuller’s application for writ of habeas corpus. December 2001 -- A federal district court dismissed Fuller’s habeas petition to return to state court to exhaust newly raised claims. March 2002 -- The Texas Court of Criminal Appeals denied Fuller’s successive application. November 2003 -- The Texas Court of Criminal Appeals denied Fuller’s second successive application. January 2005 -- A federal district court denied Fuller’s federal habeas corpus petition. January 2006 -- The 5th Circuit Court of Appeals affirmed the federal district court’s denial of federal habeas corpus relief. June 2006 -- Fuller petitioned the U.S. Supreme Court for review. The petition is pending. Evidence presented at the punishment phase of Fuller’s trial indicated that Fuller was associated with a violent gang. The State also presented testimony from Fuller’s former employer at a fast-food establishment, who in 1996 caught Fuller on videotape stealing cash. Fuller was fired and theft charges were filed against him. HUNTSVILLE — Condemned prisoner Justin Fuller quietly went to his death Thursday evening for the abduction, robbery and fatal shooting of a Tyler man nine years ago. In a brief statement, Fuller thanked his family and friends for their support. "Let everyone know that you must stay strong for each other," he said. "Take care of yourselves." He told the warden standing next to him, "That's it." As the lethal drugs began to take effect, he looked at his parents watching through a window a few feet away and said, "I love you." The parents and a sister of his victim watched through an adjacent window, but he didn't acknowledge them. Eight minutes later, at 6:18 p.m., he was pronounced dead. Fuller acknowledged being in the vicinity when 21-year-old Donald Whittington III was killed at Lake Tyler in the early morning hours of April 21, 1997. But he said he didn't fire the fatal shots with a .22-caliber pistol and didn't show off the body later to friends. Whittington's remains were not discovered by police until four days after he went missing. Authorities said by then numerous people had gone to see the body, which became the subject of conversation at Chapel Hill High School near Tyler. A student at the school, which Whittington, Fuller and two other people convicted in the slaying had attended, overheard some of the talk and called police. The case inspired the passage of a state law making it a crime to know about a body and remain silent about it. The U.S. Supreme Court rejected Fuller's appeals hours before the execution. Three others convicted in the case are serving long prison terms. HUNTSVILLE -- Condemned prisoner Justin Fuller quietly went to his death Thursday evening for the abduction, robbery and fatal shooting of a Tyler man nine years ago. In a brief statement, Fuller thanked his family and friends for their support. "Let everyone know that you must stay strong for each other," he said. "Take care of yourselves." He told the warden standing next to him, "That's it." As the drugs began to take effect, he looked at his parents watching through a window a few feet away and said, "I love you." He did not acknowledge the parents and a sister of his victim, Donald Whittington III. He was pronounced dead at 6:18 p.m. "It was too easy. Compared to what my son went through, it was really too easy," Donald Whittington Jr. said. "He showed no remorse in court, and he showed no remorse being injected." The younger Whittington was killed at Lake Tyler early April 21, 1997. Fuller denied firing the fatal shots with a .22-caliber pistol and said he didn't show off the body later to friends. Whittington's body wasn't found by police until four days after he was reported missing. By then, authorities said, a number of people had gone to see the body, which became the subject of conversation at Chapel Hill High School near Tyler. A student at the school, which Whittington, Fuller and two other people convicted in the slaying had attended, overheard some of the talk and called police. The case inspired passage of a state law making it a crime to know about a dead body and keep silent about it. Fuller said in a recent interview with The Associated Press that he couldn't express regrets about the killing. "If I have regrets, it means I done it," he said. The U.S. Supreme Court rejected Fuller's appeals hours before the execution. Fuller's lawyers contended that his trial attorneys were ineffective and failed to tell him about a proposed plea bargain that would have spared him from a death sentence. Fuller's accomplices, Samhermundre Wideman of Tyler and Elaine Hays of Red Springs, are serving life sentences. Brent Bates Chandler accepted a 25-year sentence and testified against Fuller. Fuller and Wideman lived in the same apartment complex as Whittington. Prosecutors said the robbery plot was hatched by Hays, Wideman's girlfriend, who believed that Whittington had received $15,000 from a trust fund when he turned 21. Hays' lawyers at her trial blamed the scheme on the three men. Whittington was sprayed with a tear gas, blindfolded, had his hands and feet tied and was threatened with death if he didn't surrender his ATM card and password. Chandler took clothing and items from Whittington's apartment, and the other assailants threw Whittington in the back seat of his own car, drove to a bank and withdrew about $300 and then went to the lake area where Whittington was killed. Fuller told police that he was urinating in the lake at the time of the shooting. His companions disputed his story. "They said I was the triggerman," said Fuller, who blamed Wideman for the shooting. Whittington's ATM card was found in Fuller's wallet. Fuller, whose 28th birthday would have been next week, was the 19th inmate executed this year in Texas, matching the total executions in the state for all of 2005. At least seven condemned prisoners have death dates through the end of the year. HUNTSVILLE, Texas (Reuters) - A Texas man was executed on Thursday for the 1997 kidnapping, robbery and murder of a 21-year-old college student near the northeast Texas town of Tyler. Justin Fuller was condemned for shooting Donald Whittington III, in a park near Tyler after kidnapping Whittington from his apartment and forcing him to withdraw money from an automatic teller machine on April 20, 1997. Fuller, then 18, and three accomplices divided the $300 taken from Whittington's bank account. Prosecutors said Fuller took friends to see Whittington's body in the days after the shooting and confessed to police after his arrest. Defense attorneys unsuccessfully appealed Fuller's conviction, saying he was poorly represented by a lawyer who filed an appeal petition using portions of a brief from another case, so that at one point it described a different crime. On Thursday, while strapped to a gurney in the death chamber shortly before his lethal injection, Fuller spoke to his family and friends. "I would like to tell my family thank you for your support and my friends," he said. "And let everyone know that you must stay strong for each other. Take care of yourselves." Fuller was the 19th person executed in Texas this year and the 374th put to death in the state since it resumed capital punishment in 1982, six years after the U.S. Supreme Court lifted a national death penalty ban. Both totals lead the nation. Fuller did not request a last meal. Texas has eight more executions scheduled this year. Never acknowledging the family of his victim, Justin Fuller, 27, said only a few words to friends and family before his execution Thursday night inside the Huntsville “Walls” Unit. “I would like to tell my family thank you for your support, and my friends,” he said from a gurney in the execution chamber. “And let everyone know that you must stay strong for each other. “Take care of yourselves,” he finished. “That’s it, warden.” With that, he steadied himself for his final breath. Glancing over at his family and friends, he said, “I love you,” before drawing a final ragged breath and sputtering. Fuller was pronounced dead at 6:18 p.m., eight minutes after the lethal dose began. Fuller was executed for the April 1997 abduction, robbery and murder of Donald Harrison Whittington III near Tyler. According to the Texas Department of Criminal Justice, Whittington, 22, was bound and blindfolded inside his apartment and driven to his bank where $300 was withdrawn from his account using his bank card. He was then driven to a local lake where he was shot three times with a .22 caliber weapon. Fuller allegedly robbed Whittington for his failure to return some rings to a friend and killed Whittington so he couldn’t identify him. Fuller’s family also witnessed the execution Thursday night, but showed little or no emotion, remaining composed throughout. Fuller’s mother Eddie whispered, “I love you,” to her son and held onto her husband Ellis until her son was pronounced dead. Fuller was the 19th person executed by the state of Texas this year, a number total to the executions carried out in 2005. If all scheduled executions are carried out, the state will execute 27 people by the end of the year. Justin Chaz Fuller is scheduled to be executed Thursday - five days before his 28th birthday - for the 1997 capital murder of a 21-year-old Tyler man. Fuller, of Tyler, was sentenced to death for killing Donald Whittington III, who was shot three times and left on Lake Tyler's Sandy Beach on April 21, 1997. The murder case inspired a new state law, making it a crime to view a body without reporting it. Fuller, along with Elaine Hays, Brent Chandler and Samhermundre Wideman, were convicted in March 1998 of kidnapping, torturing and fatally shooting Whittington during a robbery plot that began at the victim's Tyler apartment. The group robbed Whittington of trust-fund money and was angered when his ATM card yielded only $300 from a machine. They bound, blindfolded, gagged and maced him and took him to Lake Tyler, where he was shot execution-style with a .22-caliber firearm. Investigators found Whittington's body four days after he was reported missing and after at least a dozen people viewed the decomposing remains without reporting it to police. Fuller, a Dallas native, was the only defendant sentenced to death. Two of his co-defendants received life sentences while another received a 25-year sentence. Fuller, who was 18 at the time of the murder, claimed he was not the gunman as authorities contended. The Texas Court of Criminal Appeals has denied all of Fuller's appeals and affirmed the death sentence. The execution date was set by 114th District Judge Cynthia Stevens Kent. 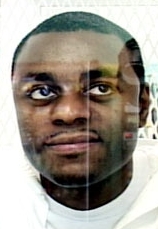 Justin Chaz Fuller, 27, was executed by lethal injection on 24 August 2006 in Huntsville, Texas for the abduction, robbery and murder of a 21-year-old man. On 21 April 1997, Fuller, then 18, Elaine Hays, 25, Samhermundre Wideman, 20, and Brent Chandler, 19 went to the Tyler apartment of Donald Whittington. They tied Whittington up and searched his apartment for property to steal. While Chandler removed property from the apartment, the other three forced Whittington into his vehicle and drove to an automatic teller machine. Fuller withdrew $240 from Whittington's account and divided the money evenly with Hays and Wideman. They then drove to a local park. Whittington was forced to his knees, then was shot twice in the head and once in the arm with a .22-caliber weapon. That evening, Fuller told two friends from Chapel Hill High School about the robbery and murder and took them to see the body. The next day, one of those students took five friends to see the body. Two days later, one of those youths, Kevin Ballard, contacted the police and led them to the body. In a search of Fuller's home, police found Whittington's ATM card in Fuller's wallet, and the victim's watch in the living room. After his arrest, Fuller confessed to being involved in the crime, but he denied being the trigger man. He also denied taking anyone to see the body. While awaiting trial, Fuller was found guilty of misdemeanor theft for stealing money from his employer's cash register in 1996. At Fuller's capital murder trial, prosecutors alleged that Fuller robbed Whittington, who had also attended Chapel Hill High School, because he failed to return some borrowed rings to a friend. The defense attempted to depict Wideman as the leader of the group and the organizer of the crime. A jury convicted Fuller of capital murder in March 1998 and sentenced him to death. The Texas Court of Criminal Appeals affirmed the conviction and sentence in December 2000. All of his subsequent appeals in state and federal court were denied. Elaine Kay Hays and Samhermundre Raemune Wideman were convicted of capital murder and sentenced to life in prison. Brent Bates Chandler was convicted of aggravated robbery, aggravated kidnapping, and arson and sentenced to 25 years in prison. In a brief last statement, Fuller thanked his family and friends for their support. He did not acknowledge the relatives of his victim. As the lethal drugs began to take effect, Fuller looked at his parents and said, "I love you." He was pronounced dead at 6:18 p.m.
Donald Whittington III, a hardware store employee, was tortured at his Tyler apartment by people he considered friends, bound, blind-folded, gagged and maced and robbed for trust-fund money. Justin Fuller, Elaine Hays, Brent Chandler and Samhermundre Wideman tied Donald up and searched his apartment for items of value. While one of the group removed property from Donald's apartment, Fuller and the other two then forced Donald into his vehicle and drove to an ATM - they were angered when his ATM card yielded less than $300 from a machine. So the three split the money, netting about $80 each, and then took Donald to Sandy Beach, a local park at Lake Tyler, forced him to his knees where he was shot execution-style in the head as he prayed. The gunman, Justin Fuller, took two friends from school to view the body the next day and told them about the robbery and murder. The case inspired a new state law, making it a crime to view a body without reporting it. Testimony at trial showed that at least a dozen people viewed Donald's decomposing body without reporting it to police. Smith County deputies found Donald's body four days after the murder. Once in custody, Fuller gave a videotaped statement, confessing to the details of the offense. Fuller was eighteen years old at the time he killed Whittington. Widerman and Hays received life sentences and will not be eligible for parole until 2037. Chandler is serving a 25-year sentence for aggravated kidnapping and aggravated robbery after testifying agains Fuller. He is eligible for parole in 2009. After finding Fuller guilty, the jury needed only 13 hours of deliberation over a two-day period to recommend the death penalty. Donald's parents plan to attend Fuller's execution. "I'd do it myself if I could," said Raquella Whittington, who balks at written requests from Fuller to talk to her and her husband, Donald Whittington II. Echoing his wife's sentiments, Whittington said, "The only way I would talk to him is if he could bring my son back and he can't." The Whittingtons said they live their lives heavily sedated. Sleeping pills are the only way they get through the nights without hearing the words of their sons' killers. "It's hard," Mrs. Whittington said, recalling the grueling trials where she heard the words her son heard as he took his last breaths. "You have to sit there and listen to everything they did to him, what they took, tying him up," she recalled, in addition to testimony about her son's last words: "Leave me alone, take anything you want. "People say time will heal," Mrs. Whittington said. "He's my only son. Time has not healed this." Justin Fuller was convicted of robbery and capital murder for being the triggerman in the murder of Donald Harrison. Harrison was killed on April 21, 1997 in Tyler County. Fuller and three friends abducted Harrison, drove him to an ATM, made him withdraw 300 dollars and took him to an abandoned field where they shot him three times. The next day Fuller bragged to friends about the crime; later that day the murder was shown on the news and Fuller was turned in. The police found Harrison’s wallet inside Fuller’s home and subsequently placed Fuller under arrest. He was 19 at the time of conviction and 18 at the time of his crime. Fuller did not receive adequate representation from the state of Texas. His two lawyers, James Volberding and Donald Killingsowrth, proved to be ineffective. Volberding, who was sitting as second chair, had minimal criminal court experience and was not qualified to try a capital case. Several months prior to the trial, Killingsworth was supended form practicing law because he had not paid his state bar dues. During this time, Volberding was lead counsel. Killingsworth failed to mention to Fuller that the prosecution had discussed a possible plea bargain. This plea bargain would have offered Fuller life in prison rather than the death sentence he received. Killingsworth did not mention this to Fuller because he believed it might not have been a serious offer. Volberding had several memos that stated that he believed that Killingsworth was not providing adequate counsel to Fuller and that he was picking up the slack. The above claims were brought forth in appeals, all of which were denied. To this day Fuller denies being the triggerman that shot and killed Harrison. He claims Samhermundre Wideman, another man arrested for his involvement, was the shooter. The jury in Fuller’s trial disagreed and sentenced him to death. Elaine Hays, another participant in the crime, has come forward and stated that she believes Wideman was the shooter. She explains that after Fuller and Wideman returned to the vehicle, where she had been waiting for the two men, Wideman said, “it felt good to shoot someone.” This fact was brought up in a later appeal but was subsequently denied. The state of Texas denied the appeal based on the ground that the state can still execute “non-triggermen.” Wideman was sentenced to life for his involvement in the crime. Like Wideman, Fuller might have received a life sentence if he had been tried as a “non-triggerman" or even if his counsel had done their job properly. It is time that the state of Texas begins to provide adequate counsel for all defendants, especially when they are not even old enough to legally drink and nonetheless face the possibility of death. Please write to Gov. Rick Perry on behalf of Justin Fuller. (Court TV) — Justin Chaz Fuller was executed Thursday night for the robbery and shooting death of a 21-year-old East Texas man in 1997. With his parents and those of his victim watching through a window, Fuller, 27, thanked his family for their support before given a lethal injection. He was pronounced dead at 6:18 p.m. CT. "I would like to tell my family 'Thank you for your support' and my friends," Fuller said. "And let everyone know that you must stay strong for each other. Take care of yourselves." Fuller was 19 years old when a Smith County jury convicted him and sentenced him to death in 1998 for the robbery, kidnapping and murder of Donald Whittington III, a hardware store employee. Fuller admitted to authorities that he and three friends abducted Whittington from his Tyler apartment and used his car to drive him to a nearby ATM, where they forced him to withdraw $300. He told authorities that the group then drove Whittington, bound and blindfolded, to a picnic area near Lake Tyler, where he was shot twice in the head. They then torched Whittington's car. "The initial plan was to just drop him off, and you know, let's go back home," Fuller told CourtTVnews.com in an Aug. 2 interview. "But things escalated from that point on, and that's when it got out of hand." Whittington's body remained there for four days, until a high school student reported the body to authorities. The teen told police that 18-year-old Fuller, a recent graduate of Chapel Hill High School, had led them to the body and bragged about shooting Whittington. "It was too easy. Compared to what my son went through, it was really too easy," Donald Whittington Jr., the father of the victim, told the Associated Press Thursday after the execution. "He showed no remorse in court, and he showed no remorse being injected." In an interview with CourtTVnews.com, Fuller said he was sorry for Whittington's death, but denied he pulled the trigger or that he told others that he killed him. Instead, he implicated co-defendant Samhermundre Wideman as the triggerman. Wideman is serving a life sentence for his role in the murder. On Thursday, the U.S. Supreme Court declined to hear Fuller's appeals based on new information from co-defendant Elaine Hays, who recently told Fuller's appellate attorney that Wideman had claimed responsibility for the shooting and remarked that "it felt good" to shoot someone. In his petitions, Fuller claimed that his trial lawyers never told him that prosecutors had offered him a plea deal. He also complained that his first post-conviction attorney filed pleadings on his behalf intended for someone else, but with his name replaced in the paperwork. Ellis Fuller, who last spoke with his son earlier Thursday, told CourtTVnews.com that his son was at peace with his fate. "He was in good spirits. I think he's come to terms with what he did or did not do," Ellis Fuller said earlier Thursday. "It's between him and the Lord." An interview with Justin Fuller. 'I blame myself' - Justin Fuller was sentenced to death at the age of 19. With a group of friends, he kidnapped, robbed and murdered an acquaintance for $300. Although he denied it, prosecutors fingered Fuller as the triggerman. In the days before his execution, CourtTVnews.com spoke with him about his last days, his family Christmases and the differences between being a leader and follower. CourtTVnews.com reporters Emanuella Grinberg and Andrew Brooks interviewed death row inmate Justin Chaz Fuller on Aug. 2 at the Polunsky Prison Unit in Livingston, Texas. He was executed on Thursday, Aug. 24. The transcript below has been edited for length and clarity. COURTTVNEWS.COM: What's it like living on death row? JUSTIN FULLER: It's kind of difficult, right. You go through a lot of emotional changes. Dealing with the guards, dealing with ups and downs, you know, missing family, missing kids, missing nieces and nephews. Also, I see things — the rejection of cases, dealing with inconsistent courts, seeing different rulings and things. You deal with a lot of emotions. CTV: What's the highlight of your day? FULLER: I guess I would say going to recreation. Even though it's isolated, it gives you a little free time outside of your cage to be in another cage. CTV: What's the low point? FULLER: I think my low point is probably no mail, no mail. Getting no letters or no mail. CTV: Do you have a favorite movie or book? FULLER: I think my favorite movie would probably be "Boyz n the Hood," or something like that ... It kind of like relates to different types of lifestyles. Even though some people say it's violent, but it's not really violent. It just shows how life is for a certain individual class, right. Maybe some black people. It just shows different sides of life — how people overcome struggles. My favorite book is by Paulo Coelho. He writes about spiritual things. He has a new book out. It's called "The Zahir." CTV: Are you close friends with any inmates? FULLER: Yeah, well, I think you interviewed one of them. He was executed a couple of weeks ago. Mauriceo Brown. Yeah, he was one of my close friends. CTV: Do you get letters from strangers? FULLER: Oh yeah, you get all sorts of letters, all sorts of mail. Different, different situations, you get different mail. You get some hate mail — "You deserve to die," something like that, right. But that doesn't really affect you. I guess it gives me more motivation to strive to overcome the situation. CTV: How has life in prison changed you? FULLER: Life in prison has changed me a lot because I was a follower in the world, which I think most 18-year-olds are sometimes. I used to be a follower. I used to do crazy things just to be cool. But being in prison shows you that everybody ain't your friend. But you have to make your own decisions in your life. But that comes more with maturity, you know. And I spent most of my life or my 20s here, right. I'm 27 now, so when I got here I was 19. So, that's eight years of sitting in a cell by yourself contemplating, thinking about life, how you overcome things, how you would want to live, how would you want to touch a piece of grass at this time, right. But that's how I've overcome, by not being a follower. CTV: What do you miss most about life on the outside? FULLER: To me, it's about the simple things now. I used to miss the materialistic things, but that really doesn't matter to me no more. It's just the simple things. Just taking a walk in the park now, right. Seeing the wind breeze or, you know, just something simple now, at this point in life. CTV: How is your relationship with your daughter? FULLER: She's a character. And we have a pretty good relationship. She still knows me as Dad, and we pretty much have a good relationship. CTV: How old is she now? CTV: And how old was she when you were taken into custody? CTV: Growing up, how was your relationship with your parents and your older brother? FULLER: Me and my parents. You know, I was like a rebel. I mean, I guess you could say I was different than my brother. My brother was more: Obey. I was more like: Do what I want to do. That was just me. CTV: How did you spend your time? FULLER: Probably staying out late. Doing whatever my friends wanted me to do. Like I said, I was a follower. So, if it was cool to them, then it was cool for me. CTV: What's your happiest memory from childhood? FULLER: Oh, my happiest memory. Had to be Christmas. Christmastime, where the family gets together, and you deal with all sorts of things and you get presents. Your family is happy, you have all your family with you. The happy moments of Christmas. CTV: Can you recall one particular memory? FULLER: Oh, one? I think when I got my Sega Genesis. I was pretty young then, I can't recall the age. But I got a Sega Genesis. I had wanted it all Christmas. But everybody else had a Nintendo. And I had wanted a Sega. And I got my Sega and I think we played it all night, all day. All day the next day until we just fell asleep, like the little hymn. Just playing. CTV: What did you want to be when you grew up? FULLER: Play sports. I wanted to play basketball, baseball. It didn't matter, just the sport, you know. I was pretty good at soccer, baseball, basketball. That's what I wanted to grow up to be. CTV: What are you good at? Any skills? FULLER: I developed a little skill of writing. I mean, I guess after so many years you develop a skill of writing, but I like to write. I like to read. CTV: What kind of writing? Fiction, nonfiction, poetry? FULLER: Oh no. I write a little poetry, but it's not ... I just like to write my thoughts down in poetry form. Sometimes it doesn't even read like poetry, just my thoughts for the day. Just the life that I live in here and the things we go through. CTV: Was there anything that you or someone could have done in your younger life that might have prevented you being here? FULLER: No. I blame myself. FULLER: Like I said, I was rebellious. It was my way. If my way didn't work, then I suffer the repercussions. But I would still do it my way. And my parents tried. They tried to raise me right. They tried to do all they could to raise me right and to show me the right way of life and everything. So I would blame myself. CTV: Now that we've talked a little bit about you, let's talk a little more about the crime. Did you know Donald Whittington? FULLER: Not really. I'd seen him a couple times, but I really didn't know him. CTV: Did you kill him? CTV: You claim your intention was just to carry out the robbery? FULLER: Right, it was just to go retrieve these rings, from the rings that he loaned to Elaine Hays. That was the initial thing. CTV: And when did things escalate? FULLER: When we got to the lake. The initial plan was to just drop him off, and you know, let's go back home. But things escalated from that point on, and that's when it got out of hand. CTV: And how did the shooting happen? FULLER: Oh, really, it was a conscious decision on someone else's part. CTV: What was your biggest regret that day? FULLER: I want to say participating in the crime. Not because I got caught, but because someone's life was taken. And that's not the individual that I've even been associated with. I've never been a violent person in my life, right. So, to say that to be a part of something that happened in a murder is quite different for me. CTV: Do you have any other regrets in your personal life? FULLER: Not really, not really. CTV: Do you think life in prison without parole would be easier or harder than execution? FULLER: To me, life without parole is just another form of the death sentence. Because you're slowly deteriorating. When there is no rehabilitation in prisons, you're slowly rotting. You slowly lose the mind frame that you have. And being in prison is not an easy feat. If you have no rehabilitation and you have no hope to get out, then nine times out of 10, you're just going to continue on your self-destruction path. So, I don't believe in life without parole. CTV: Do you expect any friends or family to be at your execution, if it goes through? FULLER: Yeah. My mother, my father. Probably my brother. And probably two friends, one from overseas and one from Austin. FULLER: No, not really ... Well, I'm saying like Christian, Muslim, Buddhist, not in that sense. I would say that I'm just, I believe in God. But as far as saying I'm a Christian, or a Muslim, no. CTV: How would you describe it then? FULLER: I would describe it as having faith in God. There is only one God. And that He guides us all, He lives within each of us. And He controls everything. And when I pray, I pray to God. And I allow Him to live in me spiritually and to dwell and just confide in and lead me on my path in this life. CTV: What do you think will happen to you after you die? FULLER: After I die? Oh, I always tell my pen pals that I'll just be floating in the wind. Where I go I don't know, but I will be floating somewhere. CTV: Are you prepared for death? FULLER: Yeah ... I don't agree, I don't want to die. But at the same time, we're all going to die one day. If it comes, it comes. Life goes on, right. If it comes, it comes. CTV: Is there anything you want people to know about you that they may not know already? FULLER: Most people think that people on death row are violent individuals, or most are killers, or just bad people. But we're not. I mean, we're just like any other human beings in this world. We don't deserve to die for anything. I don't believe in the death penalty at all. But most people need second chances in life. I mean, some people here regret everything, but if we as a society don't ever give second chances for a mistake, for something we might have done or have not done, then we'll continue the killings. Killing for killing doesn't solve anything, because it doesn't stop anything, it doesn't change anything ... People don't think about the death penalty when they go commit crime. CTV: Is there anything you'd like to say to the Whittington family, if you had a chance? FULLER: I would just like to say then that what happened to their son was wrong. Some would say that I should have stopped it. Some would say it could have been different. Yes, it could have been different. But I'd just say I'm sorry. Sorry they had to lose their loved one for something senseless, right. I'd just try to say that I don't believe that my death would bring no comfort. It might, but I doubt it, right. Because I just don't believe that killing me would bring a whole peace to this thing. That's what I would say. CTV: What is your greatest fear? FULLER: My greatest fear. I would say dying and not being able to tell my family that I love them. That's my greatest fear. CTV: What do you want to be remembered for? FULLER: A person who is compassionate about life. That life meant more to me than what it used to mean to me. Because life changes for a lot of people once they become more conscious of life. So, I'd like to be remembered as someone who changed his life, who went from being a follower to someone who taught kids to change, taught kids to understand that life is bigger than how we see it at 15, 16, 17, or 18. Life is much greater than that. "Everybody was his friend, and he loved to make people laugh," Eddie Fuller told CourtTVnews.com. "When he went out, he didn't let his clothes slouch. He was conscious of his looks and kept himself well-groomed." By high school, however, Justin says he began rebelling against his parents by staying out late and associating with a tough crowd. "I used to do crazy things just to be cool," he told CourtTVnews.com. "I was a follower. So, if it was cool to my friends, then it was cool for me." A few months after he graduated from Chapel Hill High School in 1996, Justin went to Louisiana and stayed with his older brother, Jason, according to Eddie Fuller. He considered enrolling at Louisiana Tech for the fall 1997 semester, but instead returned to Tyler. He moved in with his girlfriend, Tamicka Hill, who lived in the same apartment complex as 21-year-old Donald Whittington. Fuller admits that on April 21, 1997, he joined a plot with Hill's friends — Sam Wideman, Elaine Hays and Brent Chandler — to rob Whittington. But he says he unwittingly became an accessory to Whittington's murder. "He would let anyone befriend him. He was just too nice. But he wasn't a street child," Eddie Fuller said. "If he had been a street child, he would have probably known better than to get involved with those people." "His crime: A man kidnapped and shot for $300," by Emanuella Grinberg. On April 21, 1997, a group of teens from Chapel Hill High School in Tyler, Texas, came upon the dead body of 21-year-old Donald Whittington, bound and blindfolded, in a picnic area near the banks of Lake Tyler. Three days later, a parent of one of the students called police, and the teens led authorities to the body. The teens told police that 18-year-old Justin Chaz Fuller, a recent graduate of Chapel Hill, had led them to Whittington's body and bragged about shooting him. When police went to Fuller's home on Aug. 25, they found Whittington's ATM card in his wallet and Whittington's watch in the living room. Fuller was arrested and brought into custody for questioning. In a videotaped interview with the FBI, Fuller stated that he went to Whittington's home the evening of April 21, 1997, with his friends, Elaine Hays, Sam Wideman and Brent Chandler, to retrieve jewelry that Hays had left with Whittington as collateral for a loan. Fuller told authorities that Wideman used Mace on Whittington before tying him up and ransacking the home. The group later brought Whittington to a bank, where he withdrew $300 from his ATM. From there, Hays, Wideman and Fuller drove Whittington's car to Sandy Beach Park. Hays waited in the car while Wideman and Fuller brought Whittington into the woods and shot him twice in the head and once in the arm. Then they returned to the car and torched it. Chandler pleaded guilty to arson charges and received a 25-year sentence. In his guilty plea, Chandler testified that the four teens went to Whittington's home with the intent to rob the victim, but not to kill him. Hays pleaded guilty to murder and was sentenced to 40 years to life. Both Wideman and Fuller were charged with capital murder in the course of a robbery and kidnapping, although prosecutors argued that Fuller was the shooter, based on statements from friends claiming that he had bragged about pulling the trigger. Fuller was 19 when his trial opened in Smith County in February 1998. In Fuller's FBI statement played for the jury, he admitted his involvement in the robbery but implicated Wideman as the shooter. "He did not come across as being terribly compassionate," Fuller's trial attorney, James Volberding said. "He did not express a great deal of concern for the victim." Fuller's lawyers focused on sparing him the death penalty by minimizing his culpability. They portrayed Elaine Hays as the instigator who planned the robbery and encouraged the others to carry it out. The defense also called one witness who testified that Wideman admitted being the shooter. The panel convicted him after three hours of deliberations, but took an additional 11 hours to sentence him to death. In a separate trial, Wideman was convicted and sentenced to life. In petitions since his conviction, Fuller claims his trial attorneys never informed him of a plea bargain that would have netted him a life sentence in exchange for his guilty plea on charges of capital murder and arson. The petitions also question the impartiality of a juror who was on pain medication during the trial. Also, the entire panel contracted food poisoning during the penalty phase, but were given medication and instructed to continue deliberations. Elaine Hays has submitted an affidavit stating that, when the pair returned after shooting Whittington, Wideman said that "it felt good to shoot somebody." Fuller's claims are pending before the U.S. Supreme Court. Background: Petitioner convicted in state court of capital murder and sentenced to death filed petition for a writ of habeas corpus. The United States District Court for the Southern District of Texas dismissed petition. Petitioner appealed. (6) petitioner failed to establish actual innocence, as would excuse his procedurally defaulted claims. Affirmed. Fuller was convicted of capital murder on March 4, 1998 and subsequently sentenced to death in the 241st District Court of Smith County, Texas. Fuller's direct appeal was denied by the Texas Court of Criminal Appeals, as was his first state application for post-conviction relief. Fuller filed an application for a writ of habeas corpus in the U.S. District Court for the Eastern District of Texas, but dismissed the application in order to return to state court. His second state application was denied and Fuller once again filed a habeas application in district court. Again, he dismissed the federal application and returned to state court a third time. Fuller's third state application for post-conviction relief was dismissed and Fuller subsequently filed a third application in district court, raising twenty six claims. The district court denied Fuller's habeas petition, but later granted Certificate of Appealability (“COA”) on four issues: (1) whether the trial court erred in not allowing Fuller to present evidence of the relative culpability of a co-perpetrator during the punishment determination phase of his trial; (2) whether the trial court erred in refusing to allow a witness to discuss future dangerousness in the context of life in prison; (3) whether the prosecution improperly excluded venirepersons on the basis of their race; and (4) whether the district court's refusal to consider the merits of Fuller's fourteenth through twenty-sixth claims because they are procedurally defaulted resulted in a miscarriage of justice. We AFFIRM the district court's denial of Fuller's petition for habeas corpus relief. On April 21, 1997, Petitioner Justin Fuller and three friends kidnaped Donald Whittington from his apartment, made him withdraw money from an ATM, then drove him to a wooded area and shot him once in the arm and twice in the head, killing him. That evening, Fuller took two high school students to see Whittington's body and told them what had happened. Those two students invited Kevin Ballard, Kevin's brother, and three other youths to view the body the next day. Later, Kevin saw on a television broadcast that Whittington's body had been discovered, and he contacted the police and led them to the body. The police interviewed the youths and were told what Fuller had said about killing Whittington. After searching Fuller's dwelling, the police found Whittington's ATM card in Fuller's wallet and his watch in Fuller's living room. After being arrested, Fuller confessed to being involved in the crime, but denied being the trigger man. Fuller was subsequently convicted of capital murder and sentenced to death. He brings this habeas petition to challenge several happenings during the pre-trial, trial, and punishment phases of his case. Fuller explains that Donald Killingsworth was appointed to represent him in his state criminal trial. Killingsworth enlisted the assistance of James Volberding, an attorney who had little to no significant criminal law experience and was not on the approved list of second chair counsel for capital cases. On October 1, 1997, prior to jury selection, Killingsworth was suspended from the practice of law for failure to pay dues to the State Bar of Texas. Volberding took over as lead counsel on Fuller's case until Killingsworth was re-instated on October 21, 1997. Volberding drafted a letter to Fuller explaining that Killingsworth had a potential conflict of interest because he would be defending Fuller against David Dobbs, a prosecutor who was also enlisted against Killingsworth regarding his practice without a license. The letter advises that, because the situation regarding Killingsworth's practice without a license was likely to be resolved without prosecution, Fuller did not need to seek appointment of new counsel and should waive the conflict. Fuller claims that the letter was never sent to him. The record also contains various motions and memoranda in which Volberding sought advice from the court as well as from other attorneys as to what his role was in the defense of Fuller and what he should do about Killingsworth's perceived conflict. The record contains memos written by Volberding in which Volberding indicates that he was being overwhelmed by picking up the slack for Killingsworth and that he believed that Killingsworth was not providing effective assistance. However, in a memo written to himself on December 18, 1997, Volberding stated that Killingsworth's performance had improved and that the problem was eliminated. On December 29, 1997, a few weeks before jury selection, Killingsworth notified the court of the conflict and the court received assurance from the prosecution that Killingsworth was not facing indictment. Fuller argues that his counsel rendered ineffective assistance, thus violating his Sixth Amendment right, by not disclosing to him the potential conflict and by leaving Volberding, inexperienced in criminal trials, to act as both first and second chair. While the record appears to show that Killingsworth's performance was deficient during a portion of the pre-trial phase of Fuller's case, Fuller has not demonstrated that the deficient performance prejudiced his defense. Volberding's own notes show that Killingsworth's performance improved after a short lapse. Further, the potential conflict of interest was disclosed to the trial court and was promptly resolved. Therefore, on this claim of ineffective assistance of counsel, Fuller cannot prove that Killingswoth's deficiency and his conflict of interest were so serious as to have deprived Fuller of a fair trial. Fuller claims that his trial counsel failed to relay a plea agreement offer, thus violating his Sixth Amendment right to effective counsel. The record contains a memorandum in which Volberding states that, around January 29, 1998, the prosecutor approached Killingsworth and Volberding and suggested that they talk to Fuller about pleading to a life sentence. Both Volberding and Killingsworth doubted the sincerity of the prosecutor's offer, nonetheless, Volberding advised Killingsworth to communicate the plea offer to Fuller in writing. Volberding also advised that the written communication to Fuller should make clear that the prosecutor was not planning to make a real offer. The memo states, “To my knowledge, as of this date, [Killingsworth] has not discussed the matter with [Fuller], nor sent a letter.”FN18 Volberding concludes his notes by indicating that there had been no further indication from the prosecutor that a plea was possible. Fuller argues that he is actually innocent and would not have been sentenced to death had the jurors known that he was not the triggerman. Fuller's argument hinges on a newly obtained statement made by Elaine Hays, a co-defendant, in which she asserts that, after co-defendant Wideman and Fuller returned to the car following the shooting, Wideman said that it felt good to shoot somebody. Fuller's claims that this statement proves his actual innocence. His argument fails for two reasons. First, under Texas law, the jurors could have convicted Fuller of capital murder under the law of parties based upon his participation in the criminal activity. Therefore, even if the jury believed the statement of Hays-a statement given a co-defendant serving prison time and based on the hearsay testimony of another convicted co-defendant-they could have still convicted Fuller of capital murder, making him eligible for the death penalty. Second, as the district court pointed out, “Fuller has produced no evidence whatsoever, much less clear and convincing evidence, that reasonable jurors in Texas never sentence non-triggerman to death ···” Therefore, even if the jury believed that Fuller was not the triggerman, they could have still sentenced him to death as guilty of capital murder. Consequently, Fuller's evidence of innocence is not sufficient to result in a miscarriage of justice for failing to consider the merits of his procedurally defaulted claims. CONCLUSION For the foregoing reasons, Fuller has not demonstrated that he is entitled to relief on any of the claims for which the district court and this Court granted Certificate of Appealability. Accordingly, the district court's denial of Fuller's petition for habeas corpus relief is AFFIRMED.